The late Nicky Hopkins is the ultimate unsung session hero. His piano, organ, and other types of keyboard contributions can be heard on hit songs by the Beatles, the Rolling Stones, the Who, and many others. Nicky Hopkins started with Screaming Lord Sutch’s Savages, which also included Jimmy Page (another session hero and founder of Led Zeppelin). He played with the Cyril Davies All Stars, one of the first British rhythm & blues bands (Nicky plays piano on the Country Line Special album). In 1965, he played piano on the Who’s debut album and started playing keyboards in sessions for the top British bands including the Beatles, the Rolling Stones, and the Kinks, and on solo albums by John Lennon, Jeff Beck, and others. He played with the Stones on their amazing unreleased concert film from 1968, Rock and Roll Circus (at left). Nicky eventually moved to San Francisco and helped define the S.F. sound, playing on Jefferson Airplane and Steve Miller Band albums, and even briefly joined Quicksilver Messenger Service. Here’s an excellent Nicky Hopkins site, and a complete list of Nicky Hopkins sessions. Video: This interview is from Merrell’s 1991 TV show “California Music”. Merrell talks with legendary musician Nicky Hopkins about his early years in music. This was the beginning of a new sound for the venerable San Francisco acid rock band. Quicksilver Messenger Service was started by Dino Valenti (a.k.a. Chet Powers), who was promptly busted before the first album came out. Founder Gary Duncan (guitar) left after the second album, and Nicky Hopkins joined the group, which by the time of the Shady Grove album was comprised of John Cipollina (guitar), David Freiberg (guitar and bass), and Greg Elmore (drums). Clearly inspired by the Charlatans, Quicksilver was known for extended blues jams with a honky-tonk edge, courtesy of newcomer Hopkins. “Shady Grove” is an electric psychedelic version of a popular folk song. See the Official Quicksilver site. Nicky Hopkins duels on piano with Keith Moon on drums, while Pete Townshend plays guitar, John Entwhistle plays bass, and Roger Daltry sings. This song defines the way Nicky’s piano would “peek out” from behind the rock group’s sound. Nicky Hopkins plays throughout the album, adding “color” to songs like “My Generation” and “The Ox” and the James Brown cover song, “Please, Please, Please”. Nicky often sat in on studio sessions with the Who and appeared on several important albums including Who’s Next. Check out the Who official Web site. Nicky Hopkins plays both piano and the melodica solo on the Kinks’ hit “Sunny Afternoon”. He started playing with the Kinks on the Face To Face album and also played on other Kinks tunes such as “Waterloo Sunset”. The Kinks wrote “Session Man” about Nicky. Shel Talmy, the Kinks early producer, helped find gigs for Nicky Hopkins and his pal, Jimmy Page, another session hero (and founder of Led Zeppelin), and also produced Nicky’s first solo album, The Revolutionary Piano of Nicky Hopkins (1966). Nicky adds more than color to this track. His signature rhythm part is evident, building up, dueling with Charlie Watts on drums, providing a distinctive backbeat. Brian Jones plays some of his best slide guitar on this song. Nicky Hopkins played on quite a few Stones songs, starting with “Cool Calm Collected” and including “Gimme Shelter”, “She’s a Rainbow”, “Child of the Moon”, “You Got the Silver”, and “Sway”. Nicky also accompanied the Stones on tour from 1971 to 1973. Nicky’s piano provides the essential backbone and rhythm for this haunting tune, sung by Grace Slick. Lead guitar is Jorma Kaukonen, with Jack Cassady on bass, Paul Kantner on rhythm guitar, and Spencer Dryden on drums. 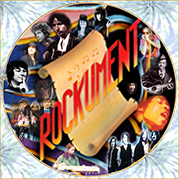 Check out Monterey Pop Songs and San Francisco Psychedelic Rock which also feature Airplane tracks. The quintessential Nicky Hopkins piano riffs add color to this anthem of the Sixties. This is the live version played at Woodstock in 1969, in which Grace Slick announces Nicky joining the band for this number. Nicky also played on the studio version on the Volunteers album. Nicky delivers the absolutely definitive best rock ‘n’ roll piano solo in the middle of this popular Beatles single (the most popular single of all time — the flip side of “Hey Jude”). Nicky was brought in especially for this piano overdub. George Harrison was later to return the favor by playing on Nicky Hopkins’ solo album Tin Man Was a Dreamer (1973). The ultimate session song on the ultimate session album, Is This What You Want. Nicky leads the backing band that consists of Eric Clapton and George Harrison on guitars, Paul McCartney on bass and Ringo on drums. Jackie Lomax was a Liverpool singer-songwriter and an early friend of the Beatles. At this time, the Beatles had just finished the White Album and were looking for other artists to produce for their new Apple Records label. Jackie Lomax’s album, produced mostly by George Harrison, was part of a series of records that included James Taylor’s first album, Doris Troy’s first album, and George Harrison’s solo effort Wonderwall Music, all on the Apple Records label (see see Beatles Facts for more about Wonderwall Music). Nicky played, sometimes uncredited, on many John Lennon solo songs, including “Imagine”, “Crippled Inside”, “How” and “Oh Yoko”. 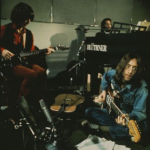 There is a very poignant scene in the DVD Imagine (Deluxe) in which John Lennon demonstrates to Nicky the piano notes for “Imagine” and asks him to double-up on John’s piano playing to give it a fuller sound. Nicky’s piano adds grandeur to this Pete Townshend tune from Townshend’s Lifehouse project, which was later abandoned and the tracks used for the Who’s Next album. This piano part is by far one of the best in the history of rock music — serious Who fans know it by heart. Check out the Who official Web site. This is Nicky’s magnum opus with Quicksilver, and the song he is most remembered for (it appeared on Shady Grove and Quicksilver Anthology). I don’t know who Edward was, or why he was grinding shirts madly, but this song is essentially a duel between Nicky (on piano and organ) and John Cipollina on guitar. There’s another version of this song on George Harrison’s Wonderwall Musicalbum (on Apple Records — see Beatles Facts), which contains bonus tracks including “Edward” with George Harrison on lead guitar. See the Official Quicksilver site. This beautiful piano song was recorded just before Nicky left the group to resume his session activities. He was replaced by Mark Naftalin. It appeared on the What About Me album and in the Quicksilver Anthology. See the Official Quicksilver site. A beautiful love song by Nicky Hopkins with the Jeff Beck Group that appeared on Beck-Ola, featuring session heroes Jeff Beck on guitar, Ron Wood (future Rolling Stone) on bass, and Tony Newman on drums. Jamming with Edward: Two of the greatest unsung session heroes — Nicky Hopkins and Ry Cooder — jammed together with members of the Rolling Stones on some blues songs and a few originals on this album, released by Rolling Stones Records. Nicky Hopkins started out playing with the Cyril Davies All Stars and with other musicians in the group Sweet Thursday, which released an album in 1969 called Sweet Thursday. Jon Mark (who wrote half the songs) is the focus of the band, which included Alun Davies, who later played with Cat Stevens. 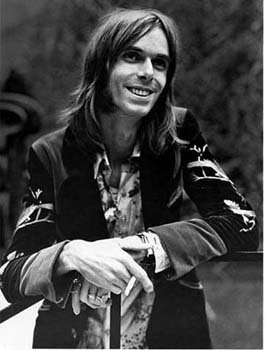 Nicky Hopkins’ other solo albums include The Revolutionary Piano of Nicky Hopkins (1966) and The Tin Man Was a Dreamer (1973).